The world’s first global list of tree species is out and it’s touted as a major step towards effective forest conservation. During Paris climate change negotiations in 2015, conservation of trees and sustainable management of forests were recognised as crucial activities for addressing climate change. However, until now, there has not been any global list of tree species around the world. 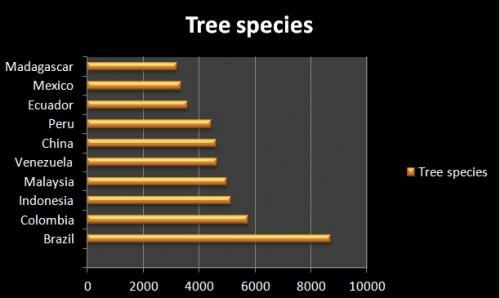 Our knowledge of the number of tree species was sparse. But effective forest conservation needs species-specific information and action. The Botanic Gardens Conservation International (BGCI) has recently created a database called GlobalTreeSearch to "support global research, conservation, and botanically-based interventions, including forest landscape restoration". Based on the analysis of published data sources and experts’ input, the number of tree species currently known to science is 60,065. Nearly half of all tree species (45 per cent) are found in just ten families, with the three most tree-rich families being Leguminosae, Rubiaceae, and Myrtaceae. Brazil, which recently lost about 9,000 sq km of Amazon to deforestation, has the highest number tree species. It is followed by Colombia and Indonesia. 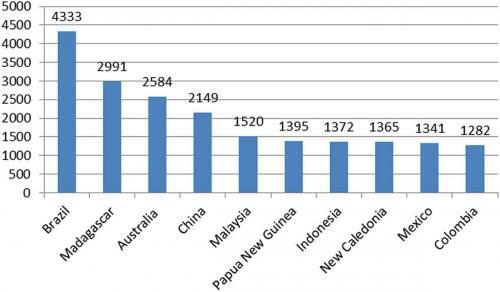 Besides Australia, Brazil and China, countries such as Indonesia, Madagascar and Papua New Guinea have the maximum number of country-endemic tree species. 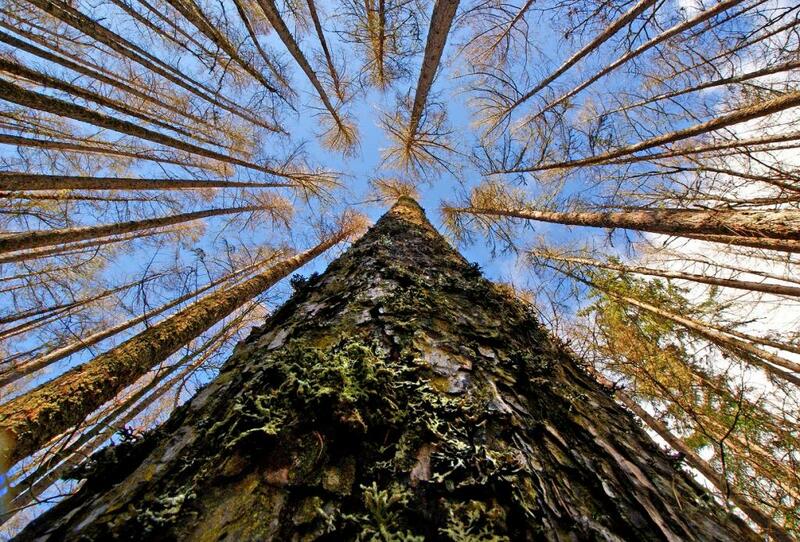 Nearly 58 per cent of all tree species are endemic to a single country only. 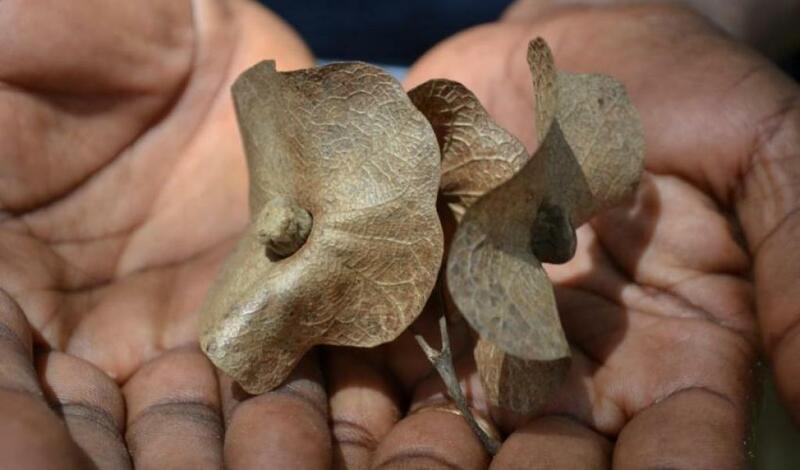 The Karomia gigas species (or Chinese Hats tree) was found to have only one population of trees still living—just six trees in a remote part of Tanzania. Over-harvesting of the tree for construction and furniture-making drove it to extinction. According to the research, the conservation status of only about 20,000 tree species (or 30 per cent of the world’s trees) is currently known. But of those assessed, almost half―or 9,600 tree species―of them are considered threatened with extinction. It means, around 15 per cent of all tree species are under threat. Researchers have concluded that more than 300 species are critically endangered, with just 50 or fewer individual trees for each species left in the wild. The BGCI engaged experts from botanical institutions across the world over a period of two years and consulted over 500 published references to create Global TreeSearch—the first comprehensive list of the world’s tree species and their country-wise distributions. This list has been reviewed by more than 30 experts chosen on the basis of their taxonomic or regional expertise. This database can be used as “a tool for monitoring and managing tree species diversity, forests and carbon stocks on a global, regional and/or national level”. According to Craig Beatty of the IUCN Global Forest and Climate Change Programme (GFCCP), “GlobalTreeSearch provides us with a baseline inventory of tree species for each country we work in, and the foundational knowledge that is required to ensure that restoration planning and activity can effectively contribute to improved livelihoods and ecology through the restoration of tree species”.